The SOLA Charge Adult Breathable Taped Spray Top is constructed from Polyurethane (P.U.) breathable fabric with 100% taped seams. 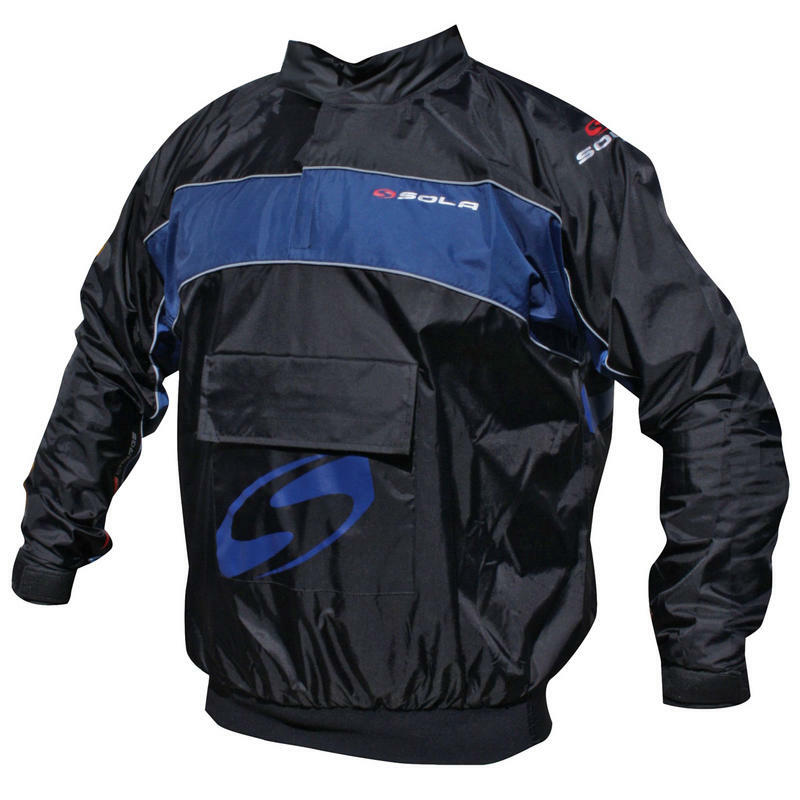 With its adjustable non-abrasive Dartex seals and neoprene waistband this spray top is ideal for use in watersports, kayaking or just walking in the rain. The Charge is waterproof and windproof to keep the elements out and with a 2-ply pocket, your valuables will be kept safe and dry even if things get wet.